Collecting Pokémon on your phone through the Pokémon GO app may seem like safe and easy fun, but when you focus more on catching a Charizard than you do on the road ahead, you can put yourself and others at serious risk. 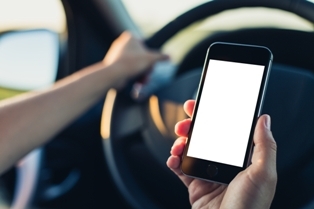 Driving while distracted has become one of the most common causes of traffic accidents in the United States. According to distraction.gov, the official government website for distracted driving, 3,179 people were fatally injured as a result of drivers being distracted and causing a collision. Every year thousands are killed and hundreds of thousands are injured all because drivers can’t keep their focus on the road and surrounding traffic. Between talking, texting, and updating statuses, cell phones are the leading cause of vehicle distractions. Unfortunately, with the release of the Pokémon GO application, these types of distractions are only getting worse. One of the advantages of playing the game while in a car is that you can cover more ground at a faster pace. However, using the app behind the wheel and attempting to split your attention between the road and capturing the fictitious animals is foolhardy. On July 13th, seven days after its launch, a 28-year-old New York man crashed his vehicle into a tree as a result of paying more attention to his phone than where his car was headed. A man in Baltimore was accused of crashing his vehicle into a parked police car while playing the game. In California, a teenaged driver ran her truck into a pole while allegedly playing the game. Dozens of pedestrians have also reported near-collisions as drivers approach crosswalks in search of these pocket monsters and inch closer to the walk to capture the creature. When a driver takes his eyes off the road for even a second, let alone the minute it may take to capture a Pokémon, he places himself and everyone around him at risk for a collision. Should Pokémon-ing and Driving Be Banned? Let us know your thoughts about playing Pokémon GO while driving by leaving your opinions, concerns, and questions in the comment section. If you liked this article, or found it interesting, you can also like us on Facebook for more information and details on what to do when someone else’s hobby causes you harm. Post a Comment to "'Braking' the Pokémon GO Habit: Risks of Playing While Driving"